Please also see our PIC Microcontroller Projects Recommended Reading List for some great books on getting the most from these microcontrollers. 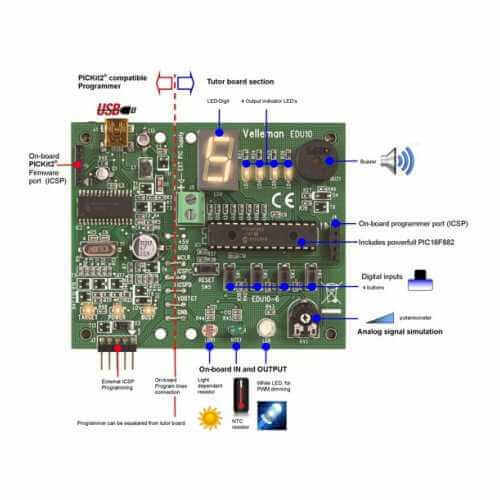 This PIC Programmer and Experimenter Board is suitable for programming many 8, 14, 18 and 28-pin Microchip FLASH PIC microcontrollers. Test buttons and LED indicators to carry out educational experiments, such as the programming examples included.